Ballet Memphis is pleased to announce the launch of the Ballet Memphis New American Dance Residency. This unique residency is aimed at dance-makers who are interested in exploring the intersection of art and community. This program hopes to identify choreographers who have been historically under-represented in the field. For 30 years Ballet Memphis’ mission has been to commission dance that honors the cultural legacy of Memphis and the region as well as using dance to frame important questions about the world. The Ballet Memphis New American Dance Residency is a two-week cultural immersion program that will give choreographers the opportunity to visit Memphis’ many important cultural and historic sites, meet with experts on a wide range of subjects including Memphis history, social justice, music and art. 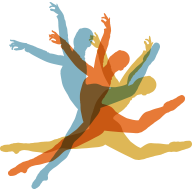 Each participant will be given time in the second week for personal reflection or the opportunity to work with Ballet Memphis dancers to create choreographic studies. The program will culminate with a panel discussion as well as an informal showing or presentation to the public. Successful candidates will receive travel, room and board and a stipend. Ballet Memphis believes that thoughtful well-researched work that is reflective of our city, our audience and culture is incredibly important to the long-term health of our art form as a leading cultural institution in Memphis. Challenging choreographers to consider how the city they are working in can shape and inform their creative practice. Experience working with professional dancers and or advanced level students. The Residency application is hosted by our friends and community partner the UrbanArt Commission. Click here to apply. Thank you to the ArtsMemphis Enhancement Grant for funding the inaugural year of the Ballet Memphis New American Dance Residency. Special thanks to our esteemed panel who will participate in the selection process: Steven McMahon, Associate Artistic Director, Ballet Memphis; Theresa Ruth Howard, Mobballet.org, Facilitator The Equity Project; Whitney Hardy, Founder and Director Young Arts Patrons/ Epicenter Memphis; Rachel Knox, Hyde Family Foundation; Anne Hogan, Dean of Communication and Fine Arts, University of Memphis; Dr. Charles L. Hughes, Director, Lynne and Henry Turley Memphis Center, Rhodes College. Ballet Memphis is pleased to announce the selection of four recipients from a pool of 35 applicants for the inaugural Ballet Memphis New American Dance Residency.